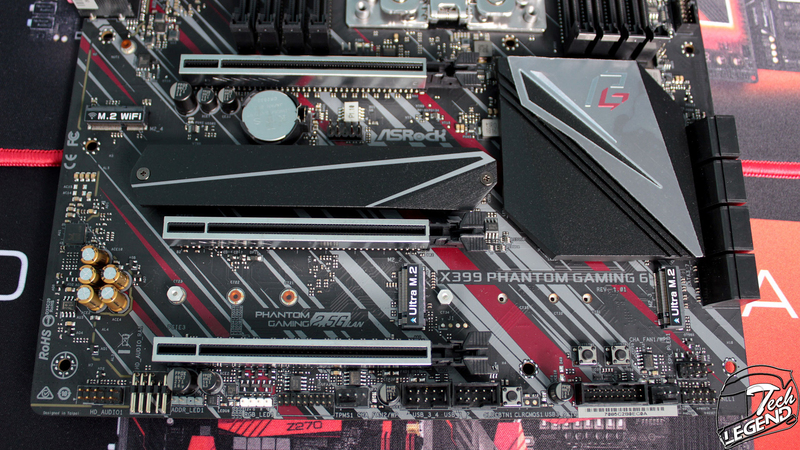 The X399 Phantom Gaming 6 is the first motherboard from the Phantom Gaming line that is equipped with the X399 chipset, supporting ThreadRipper CPUs with a TDP of up to 180W. 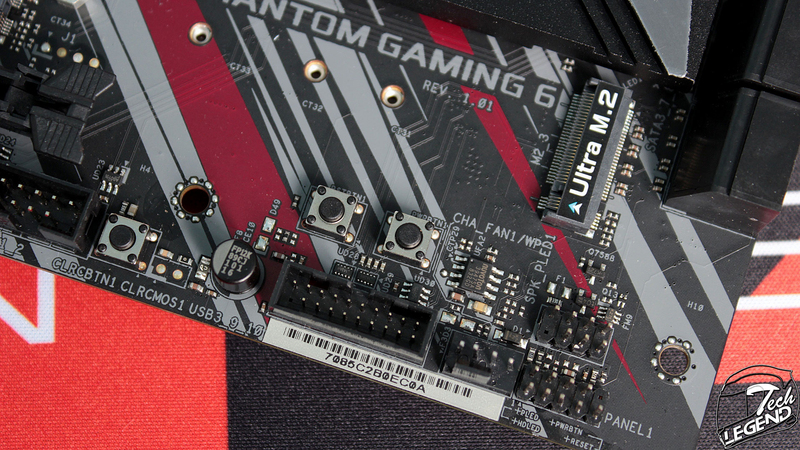 The power delivery system implemented on the X399 Phantom Gaming 6 has an 8 phase design in a 6 + 2 configuration. 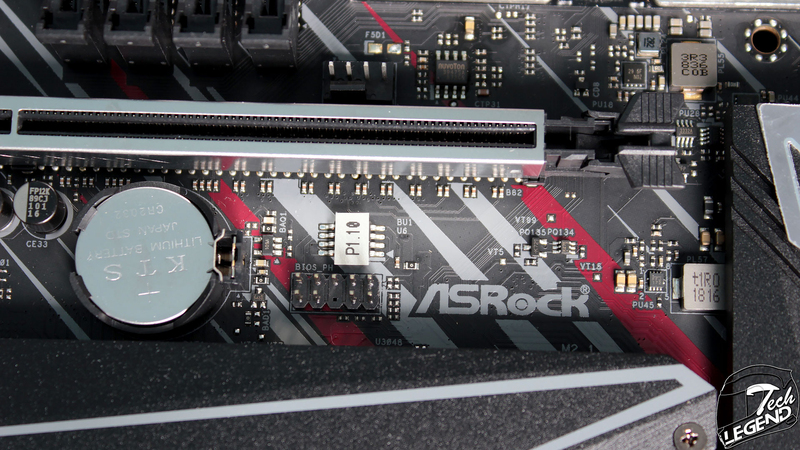 The VRM system uses a ISL69147 IR Digital power controller paired with an Intersil ISL99227 Smart Power Stage MOSFETs. The power delivery system also uses 60A Chokes and high end capacitors which are made by Nichicon and are part of the 12K series. These capacitors can have an operating life span of at least 12,000 hours under extreme loads. 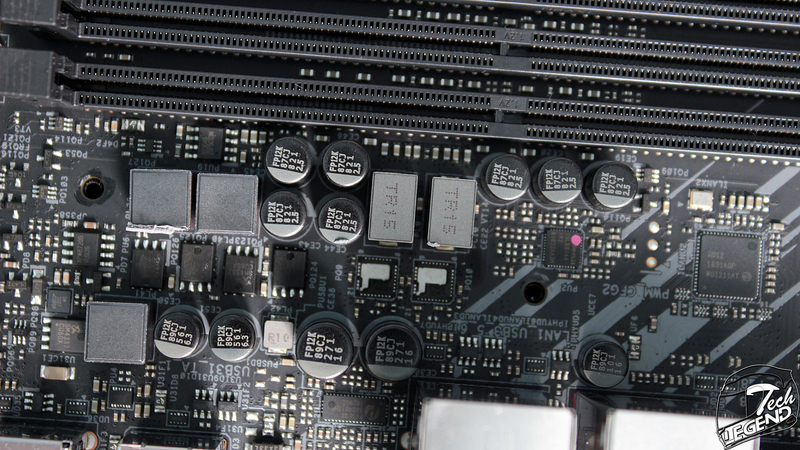 The digital multiphase PWM controller used for the V-Core, present on this board is the Intersil ISL69147I-RAZ. 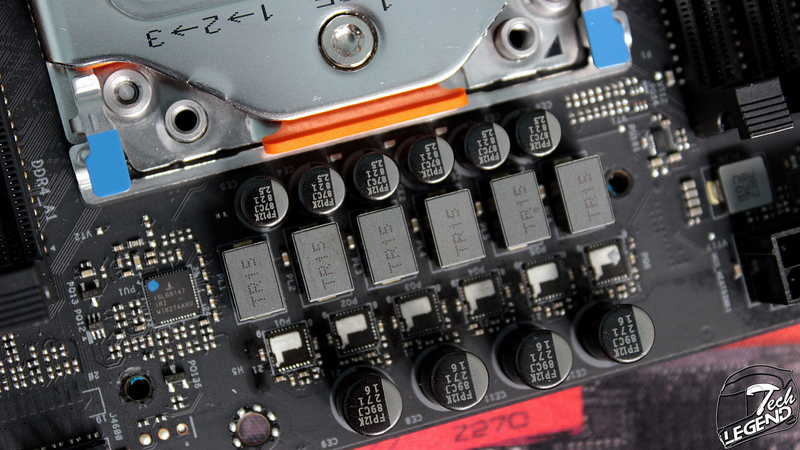 The V-SoC (System On a Chip) controller is the Intersil ISL69144. 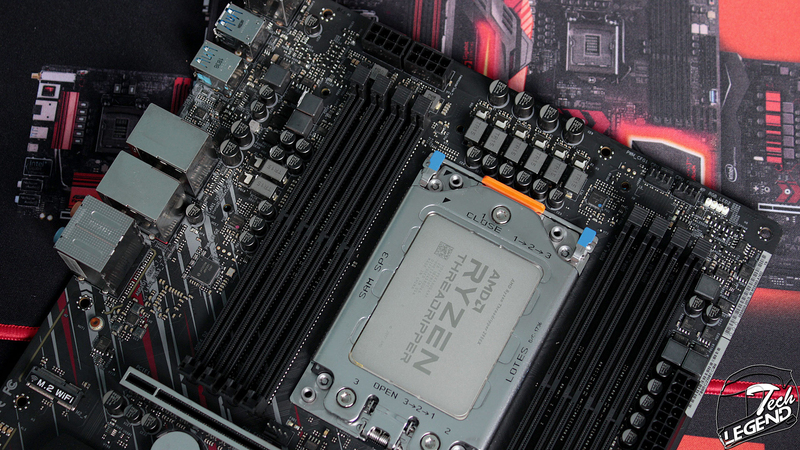 The power is delivered to the CPU through dual 8 Pin connectors. 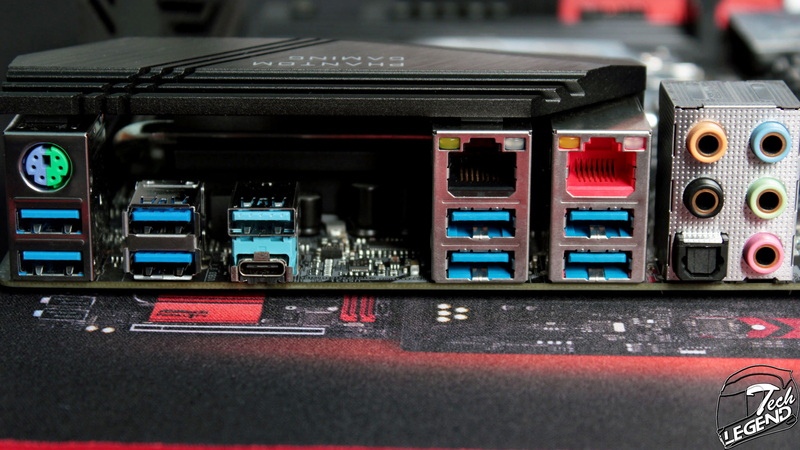 While for normal operation, a single 8 Pin connector would suffice, for overclocking and heavy loads, two 8 Pin connectors are used to split the load and gain more stability. 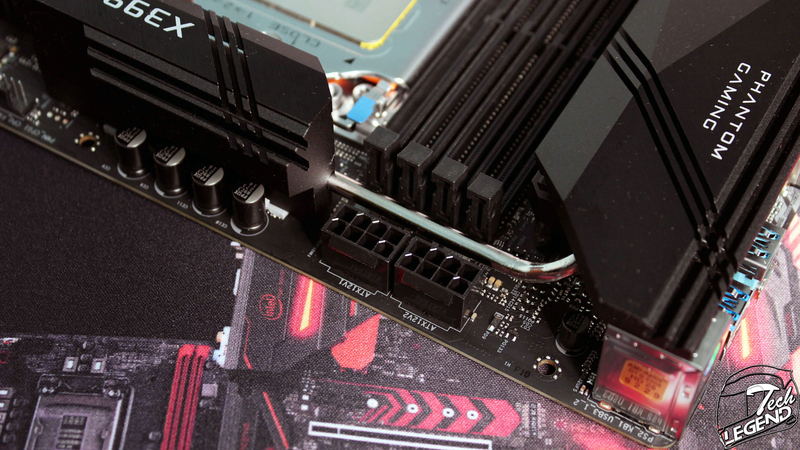 The cooling of the VRM system is done by two heatsinks that are also connected by a nickelplated copper heatpipe. 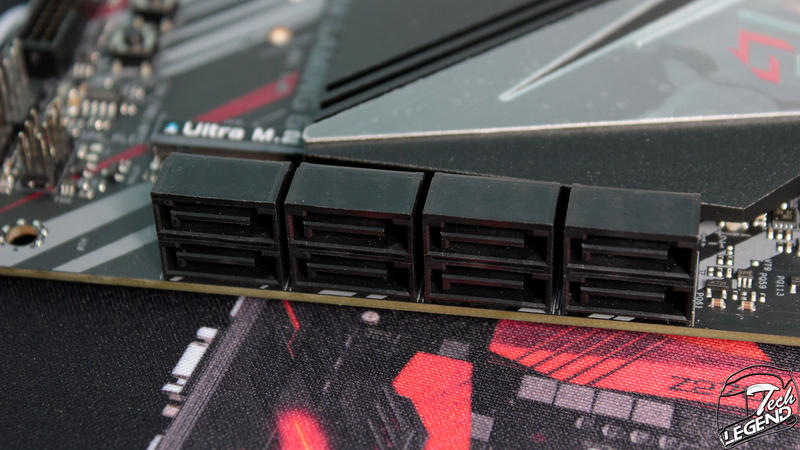 Both heatsinks have fins carved into the sides towards the CPU area. 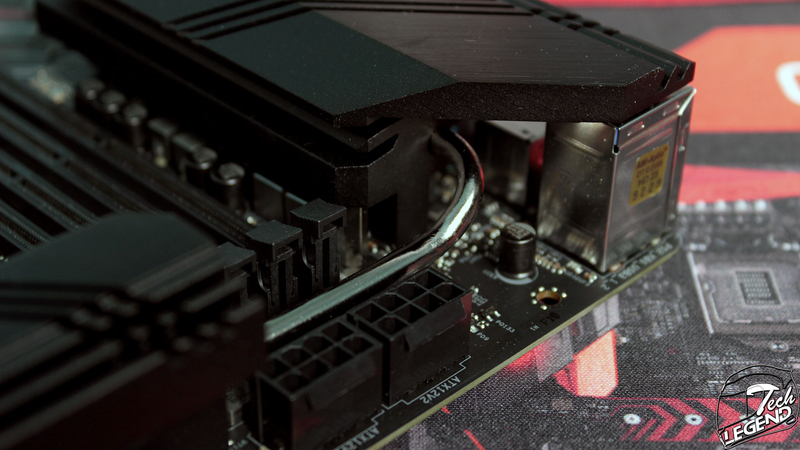 These heatsinks have a simple design with the top side sloped in different directions. 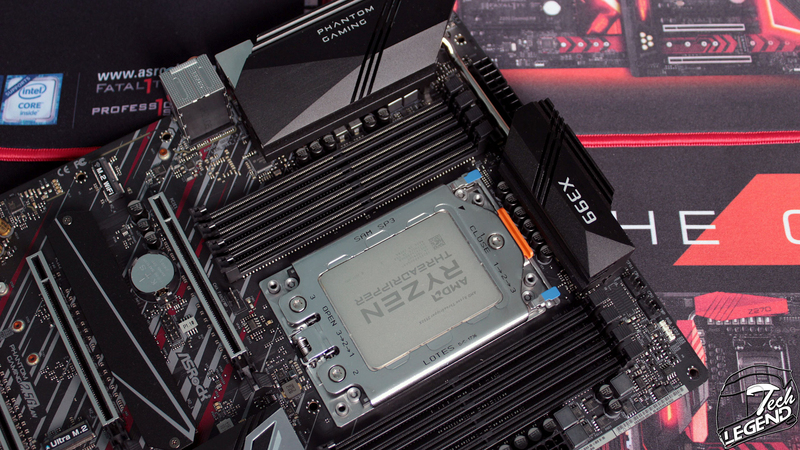 The motherboard features 5 (five) 4-pin Molex connectors, two are positioned above the right DIMM slots while a single connector is placed under the CPU socket. 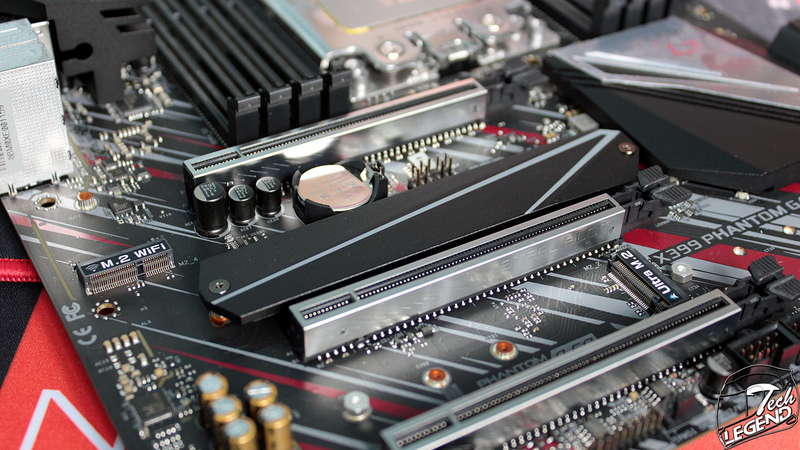 The other three connectors are placed on the lower edge of the motherboard next to the USB 2.0 and USB 3.0 headers. 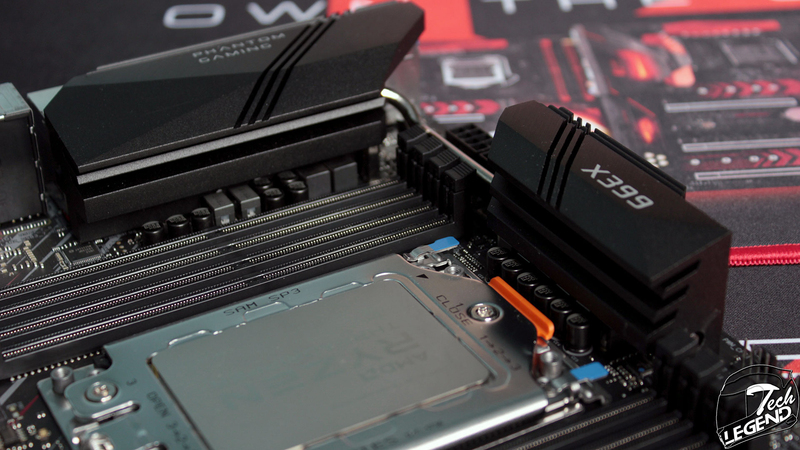 The motherboard has eight memory DIMM slots placed on the sides of the CPU Socket. 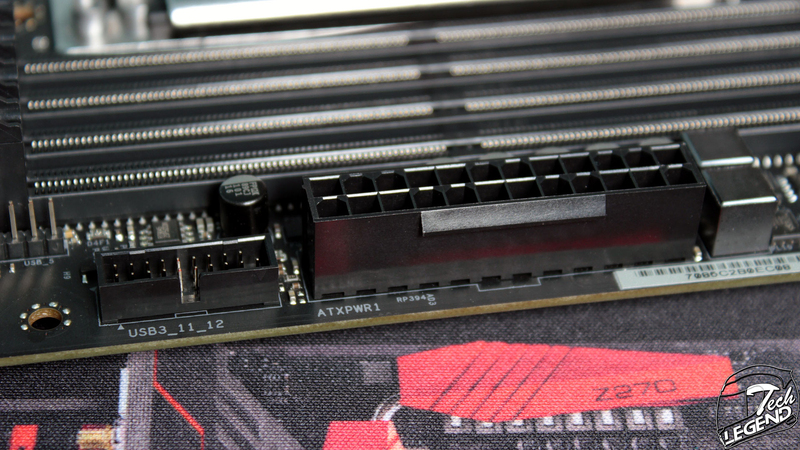 The maximum memory capacity supported is 128GB. 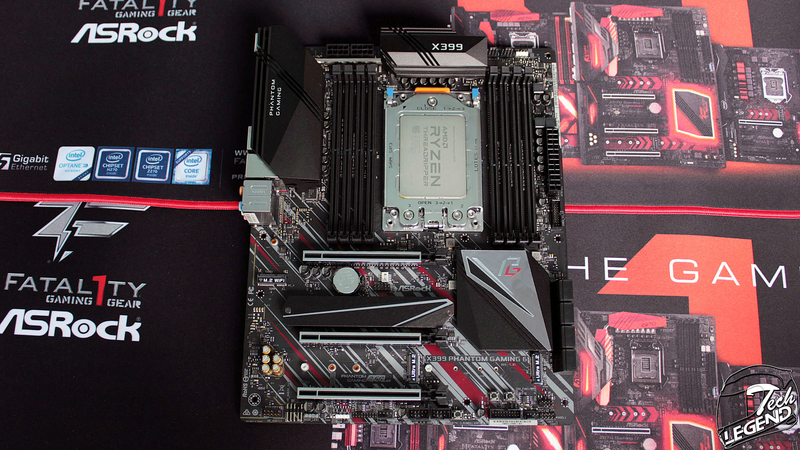 The rated speeds available are starting at 2133MHz and goes up to DDR4 3466+(OC). 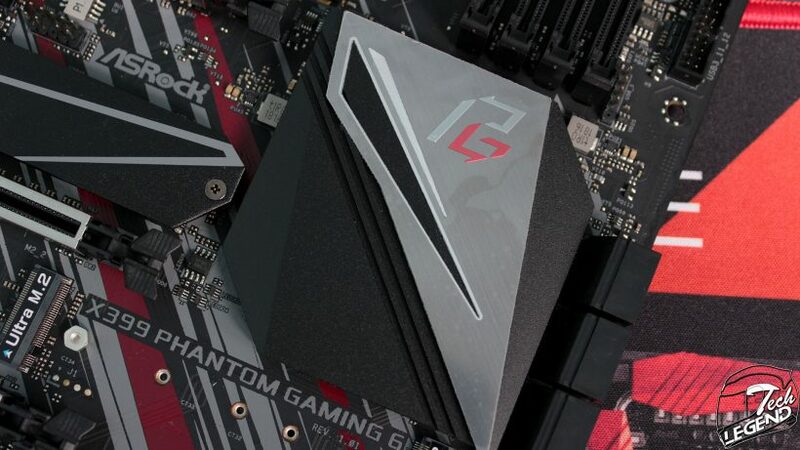 The PCIe 3.0 x16 slots are reinforced with aluminum to reduce graphics card sagging as well as to prevent any bending of the PCIe slot. 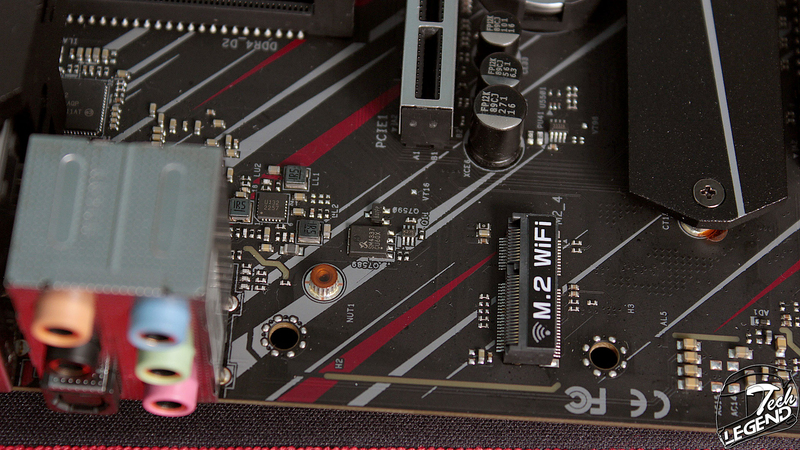 Between the upper two PCIe 3.0 x16 slots there are installed the Bios battery and the Bios ROM chip. 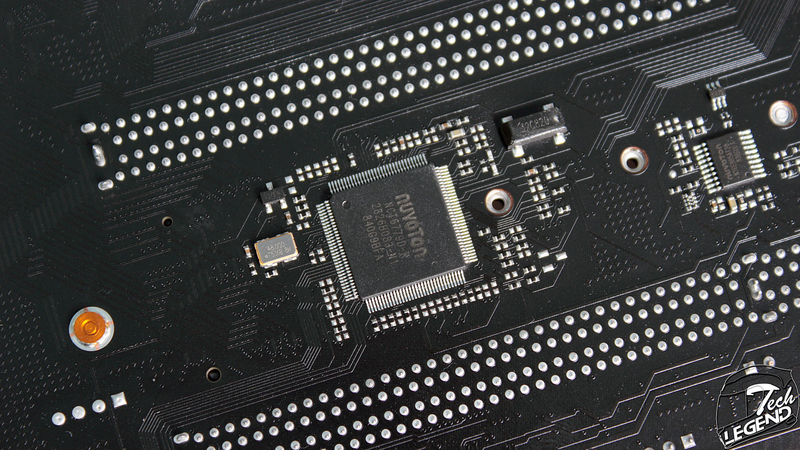 On the back of the motherboard there is the NuvuTon NCT6779D SuperI/O chip, this is responsible for the system management and sensor reporting. 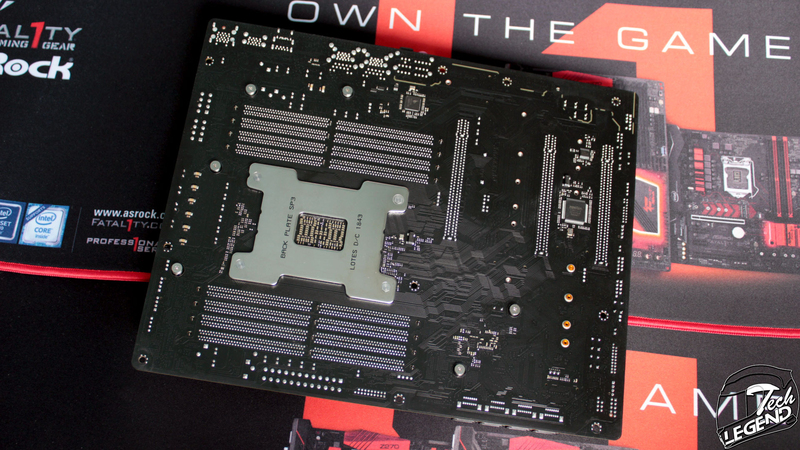 A recurring trend on the newer ASRock motherboards is to have this chip installed on the back of the PCB. 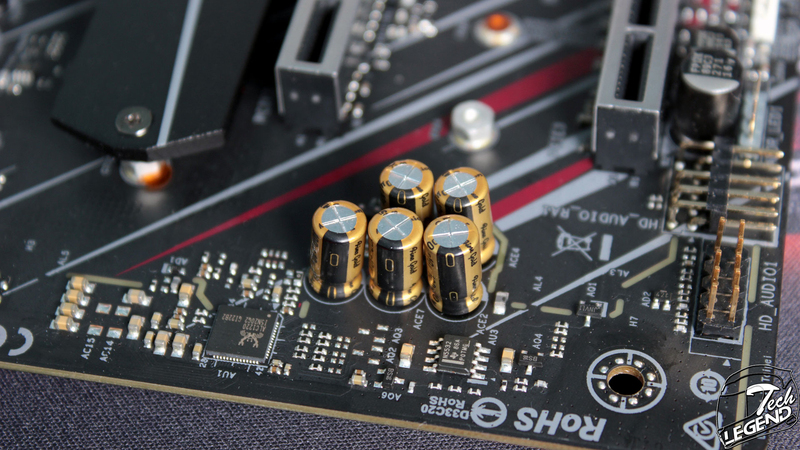 The audio system uses the Realtek ALC1220 chip paired with five Nichicon electrolytic audio capacitors part of the Fine Gold series. 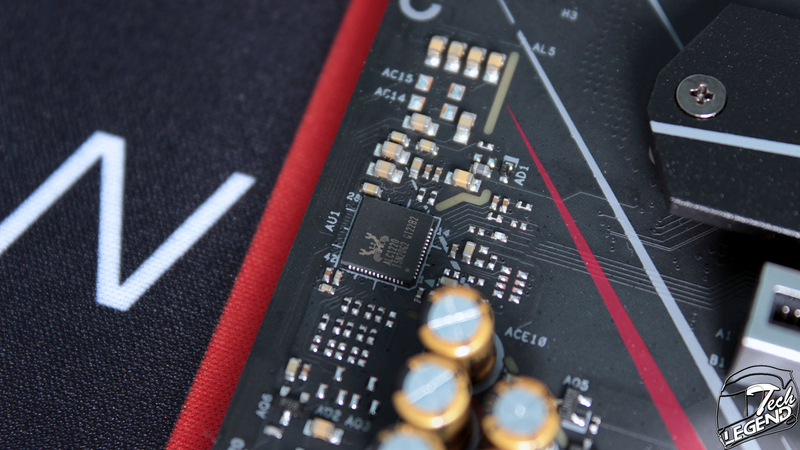 The audio components are isolated from the rest of the PCB to reduce interference and static noise; the divide is done by a line that is also illuminated by LEDs when the system is powered. 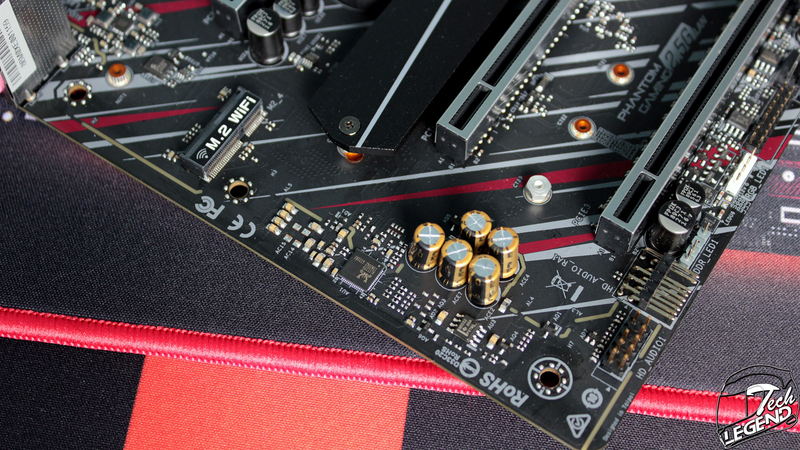 The motherboard features three SATA M.2 slots for PCI-E M.2 SSDs, the first one is positioned under the top PCIe 3.0 slot, right under the Bios battery, this slot also benefits from a preinstalled heatsink. 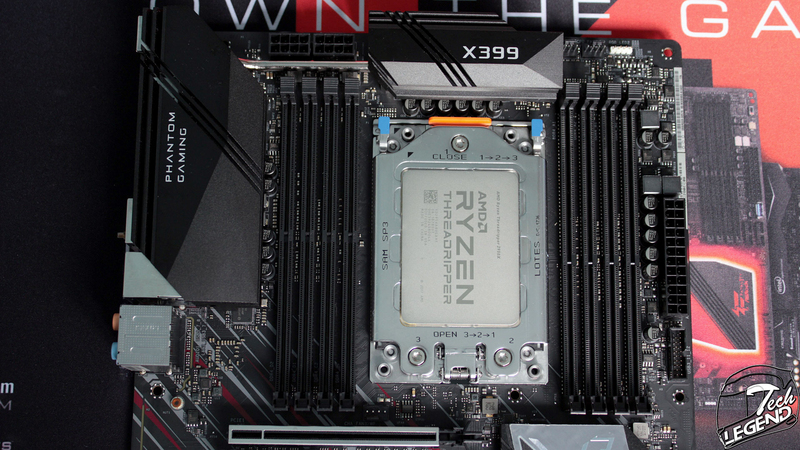 The second two M.2 slots are placed one next to each other under the chipset heatsink and second PCIe 3.0 slot. 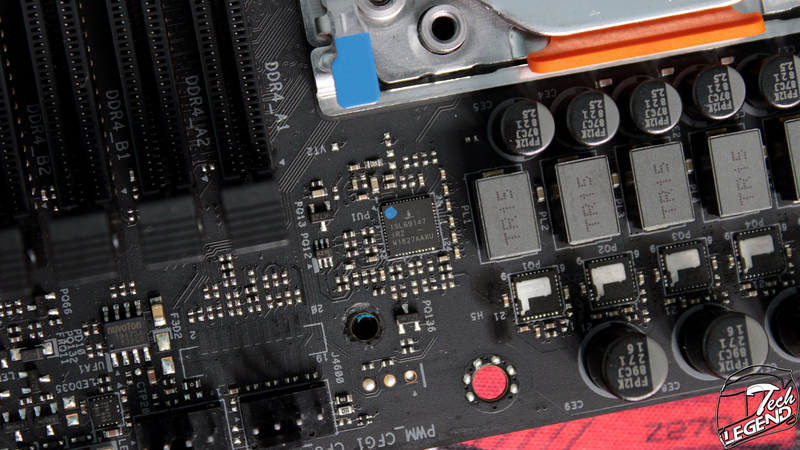 The Wi-Fi module can be installed into its dedicated M.2 slot placed on the left of the motherboard under the I/O panel and next to the PCIe slots. 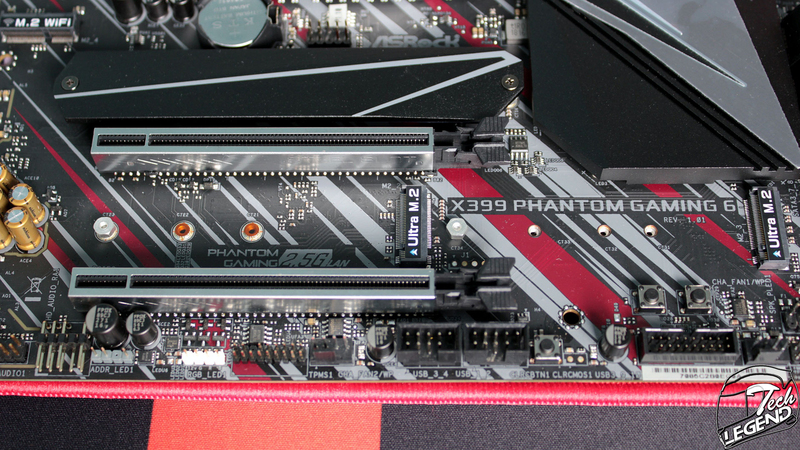 The X399 Phantom Gaming 6 is equipped with eight SATA3 6.0 Gb/s Connectors that support RAID 0, RAID 1 and RAID 10. The motherboard is equipped with two internal USB 3.0 headers, one is located below ATX power connector and the other is placed on the lower edge of the motherboard under the Power and Reset Buttons. 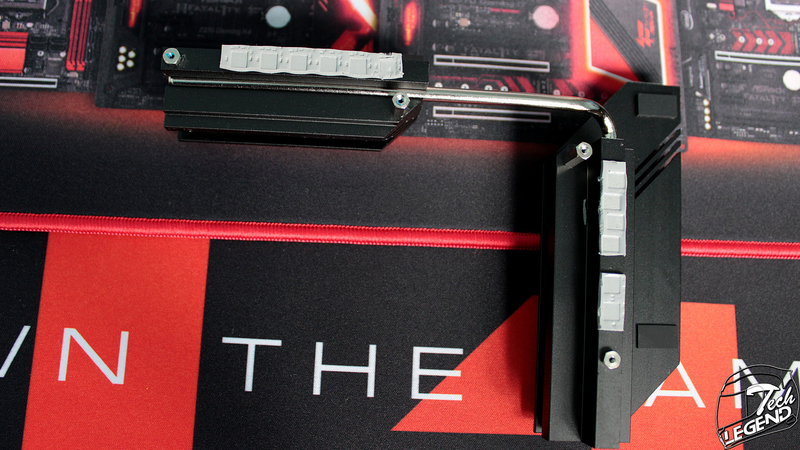 On the backside, we have the I/O panel. – HD Audio Jacks: Rear Speaker / Central / Bass / Line in / Front Speaker / Microphone (Gold Audio Jacks).